BBC Online Weather | How does Your Forecast Look? A person can view the BBC online weather by accessing their website. resources and the UK weather forecasts. What is the British Broadcasting Corporation, or BBC? You ask. One of the most influential news agencies in the modern world, for starters. The BBC News, and BBC online weather, is legendary for reporting the happenings in the United Kingdom as well as around the rest of the world. 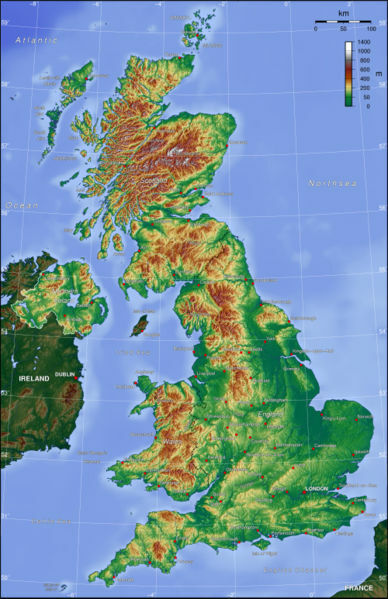 About the weather...the climate England has receives its primary influence from the ocean surrounding the island. They get a lot of precipitation and fog in the UK, along with mild year-round temperatures, when compared to other places at similar latitudes. And according to the BBC Weather World, the climate of the UK is changing. While the climate has always been subject to change due to natural causes, in recent years it is felt that global warming and the releasing of greenhouse gases has had the most impact on climate change. Some of the Greenhouse gases are released because of human activity. This could make changes within our power to control if we curtail certain activities. See the Solution Global Warming webpage for more details. Their web site offers information about global warming and the greenhouse effect that is simple to understand and accessible to all ages. If we can halt global warming, it might be worth a try. However, an important British documentary entitled The Great Global Warming Swindle challenges many of the core beliefs regarding climate change. Ideas that have developed over decades. The film is worth viewing even though it seems to attack the BBC at times. Kudos to Martin Durkin and crew. Loved it or Hated it? Have you seen the show? Have you heard too much about it? Are you sick of it or did you love it? Give us yer thoughts...Spill yer guts. We'd like to know. Great Title for a Great piece of Work. Saying it is easy. Just type!...no registration or login required. Do you have a picture to add? Great! Click the button and find it on your computer. Then select it. Only .jpg's work here. Yes, saw the show and fully agreed with the ideas expressed. The atmosphere above earth forms a greenhouse-type covering which effectively traps heat trying to escape from the earth. This process keeps us warm and makes life possible. The traditional theory behind global warming is that the amount of gases which do this job increases, so that the earth's surface becomes increasingly warmer. The warmth of the earth is currently in balance. By releasing extra greenhouse gases into the air, we could be altering that balance. Change is frightening for many people and the BBC website will likely track those changes. Why? Combustion releases large volumes of these substances. Carbon dioxide, the most widespread of the "greenhouse gases," is produced when trees burn and when automobile engines consume gasoline. It doesn't take a lot of impact on the temperature of the earth to make a huge difference in our lives. Some have estimated that less than one degree of average temperature increase around the world could cause a change in the sea level and significant flooding in low lying areas. It's a well known problem. Thanks to information portals such as the BBC online weather website. If you have knowledge of your own to convey, you might want to develop one of your own. How? Try this approach. Go back from BBC Online Weather to the Stuff in the Air homepage, or search this site for more information now. Saw a film that EVERYONE needs to see? Need to say something about it and have it appear on this site for others to see? Go ahead: Have your Say about it. You can even comment on the other buzz...no registration or login required. I promise to use it only to send you Blowin' in the Wind.